People always ask me, “Sylvia, when time comes, how do we get to The Other Side?” The answer is easy. To get to The Other Side, we all go through the tunnel. The tunnel can take us from The Other Side or to The Other Side. There are even people who are a bit intimidated by the idea of the tunnel. I can assure you that there is nothing to be afraid of! I experienced the tunnel once myself when I had a near-death experience during routine surgery when I was 42. I saw and felt what it was like to be in the tunnel. I will share with you that the tunnel seemed to appear from my somewhere in my body, of etheric substance. The tunnel did not lead up into the sky, but instead led across at about a 20 degree angle. This to me confirms that The Other Side is not some place that exists in the clouds, but rather a dimension that is right here next to us. I have mentioned that The Other Side is simply three feet off the ground. To have the tunnel appear at that angle confirms this for me. They just live at a higher vibration. I felt weightless but very vibrant and alive when I was in the tunnel. I was completely filled with peace. At the end of the tunnel, I could see my beloved Grandma Ada. I could see a beautiful meadow full of flowers behind her. The colors were so much more vibrant than they are here on earth, like a thousand times more vibrant. It was simply beautiful. I reached a hand out to my Grandma Ada and she reached out to me also. But when she reached for me, her hand was with the palm facing straight at me – in a “stop” position. I could hear a friend by my hospital bedside pleading with me not to go. In an instant, I felt myself pulled back into my body, it was like a rubber-band sensation around my waist. I’ll admit that I was not happy to be back at the time. I was angry and depressed for several days after this experience. As we all know, it was not my time and I was sent back to do more work here on earth. But this experience with the tunnel has given me more understanding of what this experience is like. There is nothing to be scared of when it comes to the tunnel. When it is your time, the tunnel will fill you with a sense of comfort and peace. You will be met by loved ones just as I was met by my Grandma Ada. When it is your time, you will step onto the beautiful meadow of The Other Side, and live happily with your loved ones. P.S. Lots of people have questions about The Other Side. Get your questions answered and more by reading my book, Life on The Other Side. Learn all about this magnificent place we call Home. Josh is absolutely correct with his post. A couple of years ago I was assigned a neurologist due to back pain from an injury I sustained. I casually asked my doctor about NDE's (near death experiences) and he explained them as nothing more than hallucinations; oxygen depravation. He told me that it is quite common that patients rushed into ER's (heart attacks, strokes, etc.) that have to be revived experience what he calls "the rush." It's kind of disheartening to know that there really is an end, but we've got to buck up and accept death as part of the living experience. When the curtain comes down and the credits roll, the series has ended a long and successful run. To Josh, sorry to burst your bubble, but the majority of the people who come on this site do so because they believe in everything that is displayed on here. Therefore, you have wasted your time writing a novel about how you believe that an afterlife doesn't exist. Just because you believe it doesn't exist doesn't mean its a fact. You nor does anybody else know everything, or even mostly everything. Sorry to burst your bubbles, but the entire concept of an "afterlife" is pure surrealism. Near death experiences or better known as NDE's are nothing more than hallucinations. Scientists have explained this phenomena as merely the brain being deprived of oxygen. In experimental cases, doctors have reduced the amount of oxygen in humans resulting in the individuals seeing the "white light," "seeing deceased family members and old friends," "vivid colors," "rushing wave like sounds," and "seeing themselves becoming disembodied." The human brain will do what ever it can do for survival. That is why people lapse into comas as a result of brain trauma. People who've supposedly "died" in frigid climates, only survived because the cold temperatures preserved the brain into a standby state. Any so-called scientist or doctor like charlatan Dr. Brian Weiss and Dr. Moody who attempt to prove the afterlife concept as reality, or reincarnation as quack Dr. Weiss promotes are a discredit to their profession. There is ABSOLUTELY, POSITIVELY NO credible evidence of an afterlife. We humans are mere products of evolution. We evolved by chance, by accident as the universe has no rhyme or reason affixed to it's origins. 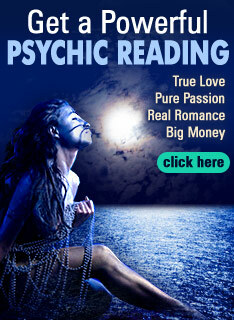 You people are only fooling yourselves if you don't have to courage to accept the fact that all psychics are frauds. They're monetary villains who prey on the vulnerable people, the ignorant and credulous. I've lost many dear people and pets in my life and I didn't need to pray to some nonexistent god or some fabled saint to pul me through my grief. The only part of a dearly departed loved one that "survives" is the memories that remain within the living. And one more thing: please educate yourselves about Sylvia Browne. The woman is a felon, a liar and a thief. She lives a lavish lifestyle by duping very stupid, naive and vulnerable people. The same applies to other pseudo psychics like John Edward McGee who has a pretty dicey background; Char Margolis who's been charged with fraud by some of her clients; James Van Praagg who's been investigated by the feds; and some lesser know fake pychic, Eric Caliber, who was busted on extortion charges in the 1980's; Lisa Williams who's been arrested for harassing people on the streets of Los Angeles trying to force her "mind reading" techniques on perfect strangers and then demanding money from them; Chip Coffey, the homosexual "psychic" who rose to fame on the fake A&E "reality" show Paranormal State, has been debunked left, right and center by scientists. Paranormal State by the way is only a scripted TV show starring some silly college kids pretending to be "ghost hunters." I've read plenty by scientists regarding those "ghost hunting" shows being that they're pure fiction. All in all there's NO human spirit. We're born, we live and then we die. There is absolutely no valid, conclusive evidence to constitute an afterlife. Sorry to be so harsh, but you can't be wishful thinkers "hoping" for what isn't. The best part of being on the other side is there is no pain, and you can travel anywhere, and no place if forbidden to you. when I went to the other side. I was caught up to the third heavens, and met 24 old men, dressed in white, with very long beards, and I talked with them, and they tested me on my faith. but , that is where I usually go, It means the most to me. like I belong there, and not here on this earth. Traveling outside of my body is the greatest joy you can have. the sights and sounds are amazing. and the knowledge never stops. it grows each and every day. You will be met by loved ones just as I was met by my Grandma Ada. When it is your time, you will step onto the beautiful meadow of The Other Side, and live happily with your loved ones. .......................................... But if some of us ordered to return to experience another life span, would that relative not be present to greet us at this beautiful place we enter after passing away.... just a thought. We are all Gods Children. That means we can pray for one another. That means we can help one another. And Mother and Father God will help us too. All we have to do is tell them specifically what we need, or what we want in life. This gives them direction as to what you as an individual want and need. And God is always here for us. Always. Love from God is Unconditional, and Everlasting, Comforting, Embraceing, and God is Ours. Anyone is welcome to ask Sylvia questions here or out loud, or might as well ask Mother and Father God themselves :) More people reading your requests of life, makes more prayers for miracles for these people asking for help. And either Sylvia might get the question psychicly and put the answer somewhere at some time; or the Collective Universe will hear it indefinitely, and work towards finding the answer to put in your path of your life. Spirit Guides are listening, Angels are listening, and God is listening. I'm sure Sylvia doesn't mind answering your questions indirectly or directly. But you can't get a miracle unless you ask someone for help. God can indefinitely work though people to communicate with us. That means we can get the answers to lifes questions in books, and through doctors, and television, self help CD's, Libraries, magazines, and conversation with others. God is at work, we just have to ask the questions (be it out loud, on paper, or in our head) and then keep a lookout for the answers. If you don't ask the question, God doesn't know what you want, or what help you need. Sometimes you come accross that Special Person who overcame adversity and made the best of what they have; and by provideing a good example to others, that in itself is an answer from God.